Celebrate your son or daughter's coming of age in style when you use the resources we've listed for you here. We have gathered the top services, entertainers and ideas together for you to use when planning bar mitzvah parties in NY. For all of their future birthdays, check out this additional guide to teen parties in NY. 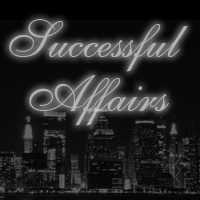 Plan Your Bar Mitzvah Party With Successful Affairs! Successful Affairs is a party planner based in New York that has over 20 years' of experience in planning special occasions. One of their specialties is planning a Bar Mitzvah party in which they will make your job a lot easier. They will handle the planning efficiently and at affordable rates. Successful Affairs will help you in picking the venue, the theme and everything that you want at a Bar Mitzvah party and make it a successful event. So plan your party with Successful Affairs and make that special event a wonderful and memorable day for the celebrant and for the guests. Plan An Amazing Bar Mitzvah Party With Swank Productions! Have Swank Productions make your Bar Mitzvah party fun and memorable for the celebrant. They will make sure that the venue, the theme and the entertainment for the party will be well planned and will make the event a successful occasion. Among the best and award winning party planners here in New York, Swank Productions has a dedicated staff that will assist you in making the party what you want it to be and help you in making your party a success. So contact Swank Productions and let them make your Bar Mitzvah party a spectacular event for everyone to have a great time. Planning A Wonderful Bar Mitzvah Party! Bryan Jacobson NYC Event Planner is the perfect choice in making your Bar Mitzvah party possible, they will make your job a lot easier in making the party a fun and successful event. Among the best party planners here in New York, Bryan Jacobson NYC Event Planner has a group of dedicated party planners that will work their best to make your event possible. Plan your Bar Mitzvah party and make it a memorable occasion where everyone is having fun. 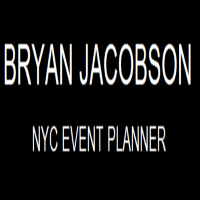 Let Bryan Jacobson NYC Event Planner make your party possible. Plan A Fun Bar Mitzvah Party With Let's Parti! Let's Parti specializes in Bar Mitzvah and Bat Mitzvah parties, and are among the best and most dedicated party planners here in New York. Make your party a fun and wonderful occasion where everyone can have a great time and enjoy the entertainment. 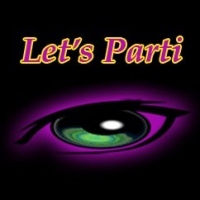 Plan your party with Let's Parti and they will make sure that the party will be a blast. Call then or send them an email for your reservations or inquiries, they will be more than happy to accommodate you with your party needs. 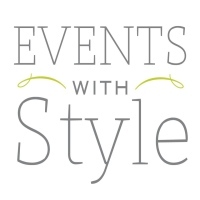 Plan Your Bar Mitzvah Party With Style! Have an amazing Bar Mitzvah party where it is full of great entertainment and a fun place to be, have Events With Style plan-out your special event and they will make sure that the party is a blast. You will enjoy the wonderful theme, great entertainment and a perfect venue for the Bar Mitzvah party. So plan-out your party with New York's Events With Style, you will be sure that everyone will have a spectacular time on the wonderful party. Have A Great Bar Mitzvah Party At 230 Fifth! 230 Fifth is a perfect place to have a spectacular Bar Mitzvah party, the venue is complete with all the state-of-the-art equipment such as a sound system and multimedia systems where it will make your party an entertaining event for everyone to enjoy. 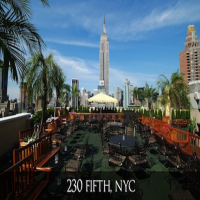 It is among the best place to celebrate here in New York, 230 Fifth will cater to your special occasion and will make it a party to be remembered. So book your reservations and have 230 Fifth your venue in having a Bar Mitzvah party, you will definitely love this place. Great Party Planning By Beat By Beat Entertainment! Make your bar mitzvah party a fun and wonderful experience for the celebrant, have Beat By Beat Entertainment plan and organized the party to make it a wonderful and memorable experience for everyone to enjoy. With over 20 years of experience in planning a party here in New York, Beat By Beat Entertainment knows the best options in making a party a successful event. So call Beat By Beat Entertainment and make them plan-out your amazing bar mitzvah party, they will make sure that it will be an awesome party. Plan A Great Part With Dynamic Entertainment! Dynamic Entertainment New York's premier party planner and event organizer offers to provide a wonderful experience on your bar mitzvah party, they will make the event fun and entertaining where everyone can have a great time and enjoy. They will provide the equipment's and the party favors to your party. Also they will help you plan-out the venue, theme and the entertainment to help you in making your bar mitzvah party a success. 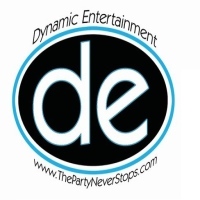 Call Dynamic Entertainment today and let them help you plan-out the party that you want. Plan A Great Bar Mitzvah Party Here In New York! Francesca’s Touch of Class Events offers to provide a great party experience in which it will be the best party that you have experienced. Among the best party planners here in New York, Francesca’s Touch of Class Events provides a unique experience in having a party in which it is a mix of elegance, class and some great entertainment. Make your bar mitzvah party possible with the help of Francesca’s Touch of Class Events, they will make sure that the event will be a success and full of fun and excitement. 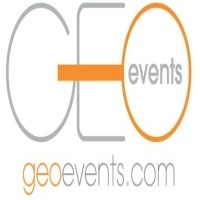 Party Planning With Geo Events! Have a bar mitzvah party where it is full of fun and excitement, let Geo Events plan-out a spectacular bar mitzvah party where they will provide the full-service planning and organizing in making your celebration possible. A premier party planner here in New York, Geo Events can make your event a wonderful occasion that everyone can enjoy. Plan your bar mitzvah party and have it with Geo Events, where they will make that event a perfect occasion.